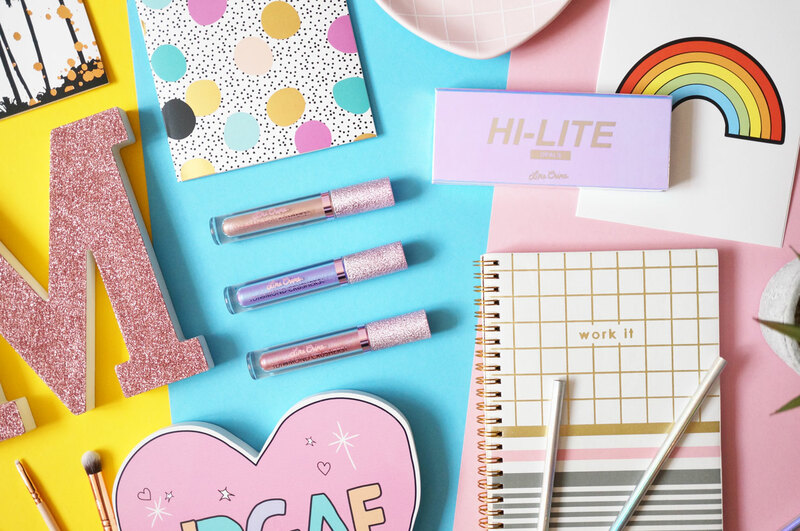 You may have caught my post the other week letting you know that Lime Crime products are now available at ASOS – well I have a couple more exciting new launches to share with you today! 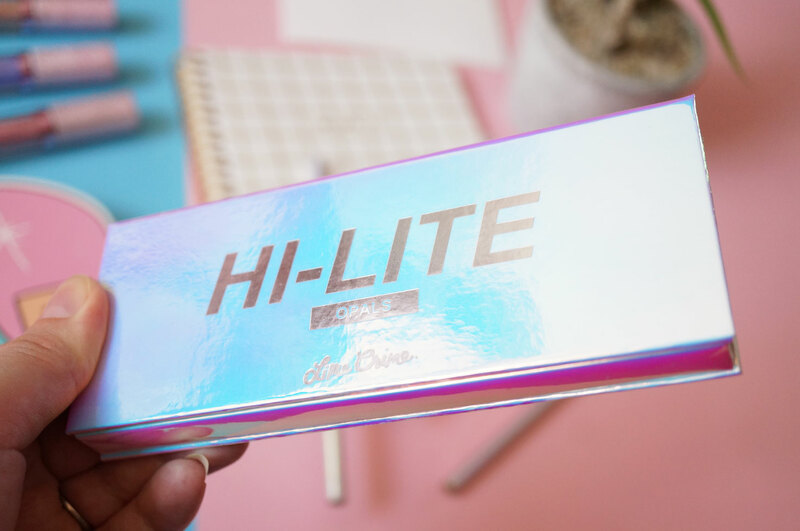 The new Hi-Lite Opals Palette (£33.00 at ASOS) is Lime Crime’s first ever highlighter palette – it’s literally just landed in at ASOS, and it looks SO good! 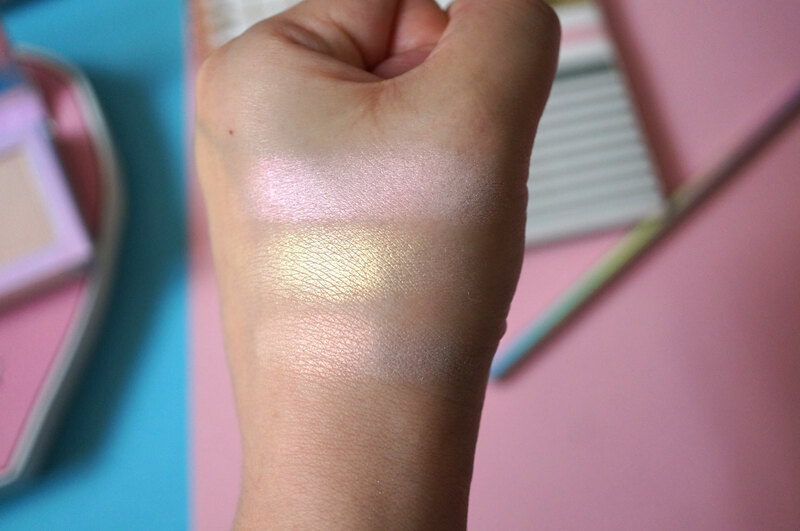 Inspired by the magic of opalescent stones, this palette contains three beautiful iridescent highlighter shades in Pink, Gold, and Peach shift. The three shades come in a finely milled, silky formula, which promises to melt seamlessly into skin and adapt to your complexion, lasting all day without the need for re-application. The powders are all really buttery smooth, with each giving a true glow highlight that doesn’t contain any glitter particles. I think my favourite in terms of colour is the Pink, it’s such a striking true pink that looks amazing when it catches the light. But I do feel the Gold shade has a slightly better consistency, allowing it to give a slightly more intense shine compared to the other two shades. 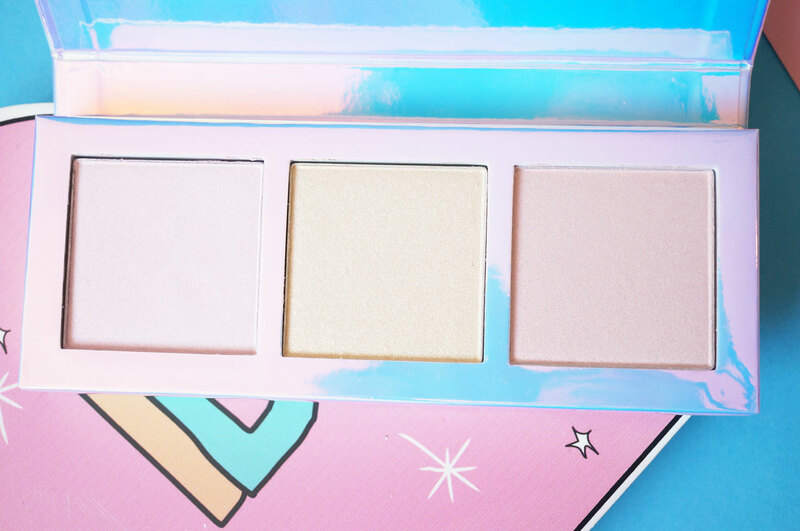 All three are fantastic though, and this palette is definitely worth the splurge! 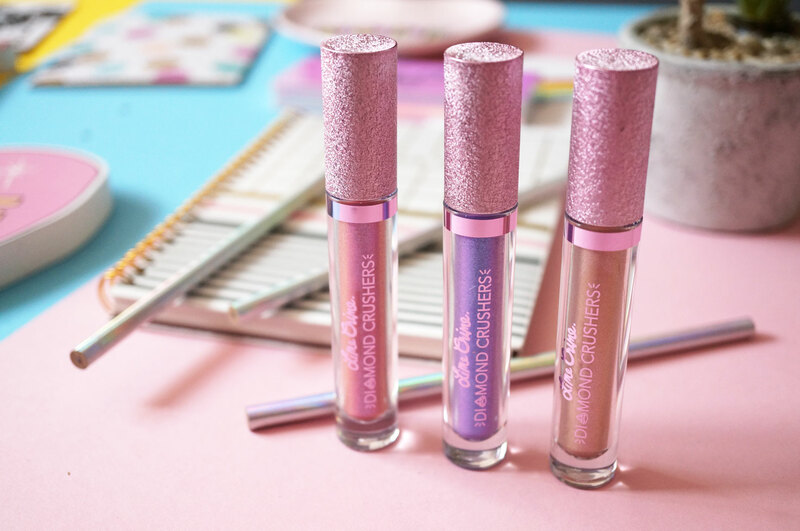 And I also have three of Lime Crime’s new Diamond Crushers (£15.00 at ASOS) – these iridescent lip toppers can be used just as they are to add a reflective, shimmery look to lips – but for more of a dramatic look they work amazingly well on top of other liquid lipsticks, especially darker shades. 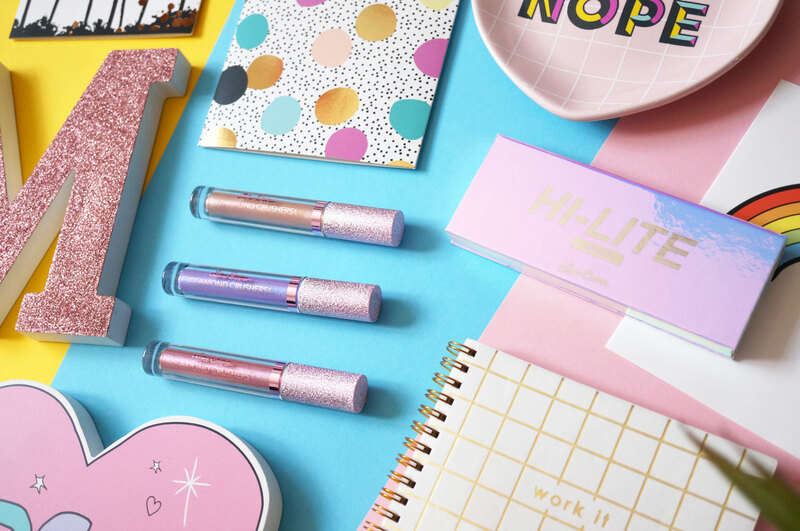 The formula is surprisingly lightweight (also water-based) and is filled with light-reflective iridescent shimmer particles which shift and change and just look amazing when they catch the light. I thought the Diamond Crushers might feel a bit chunky and gritty, due to the nature of them, but surprisingly they don’t, they apply very smoothly and feel like there’s almost nothing on your lips. The shades I have swatched above are (from the top) Dope, Trip, and Fluke. 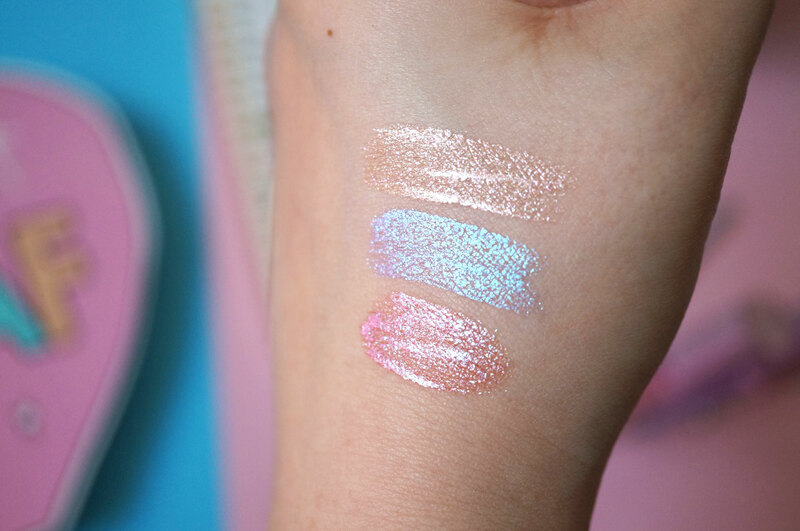 What you can’t see from the swatches is the beautiful iridescent glitter in each of the shades – I love them all! So as I’ve said, you can wear these on their own, or on top of a matte finish liquid lipstick to add a whole new dimension. I’m pleased to say it doesn’t take off your liquid lipstick when you apply, and stays on for hours on end. Of course technically these are lip toppers, but you really can wear them anywhere you’d like to, such as on the eyes or on top of your cheekbone highlight for added intensity. I should mention that I can’t confirm if they’re safe for eyes though, the site doesn’t say either way. 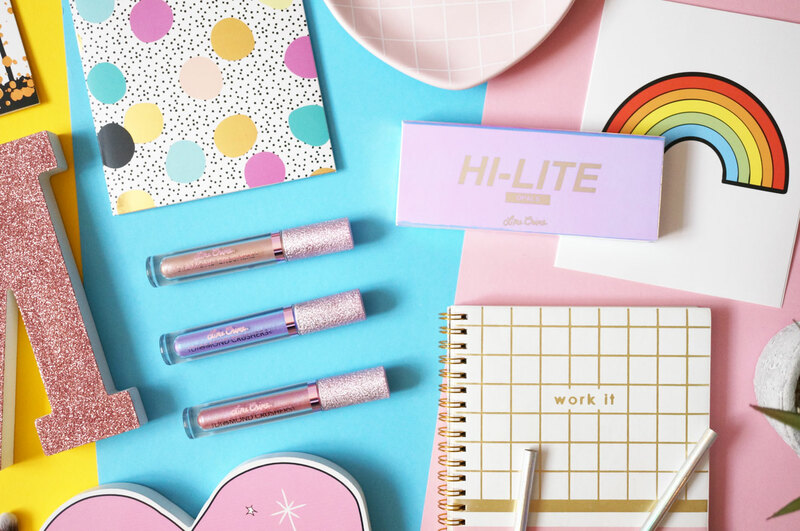 Overall I think these are fab products, I haven’t seen anything else like them available on the market as yet – so if you’re a fan of iridescent and holo finishes in your makeup, these are definitely a must have. 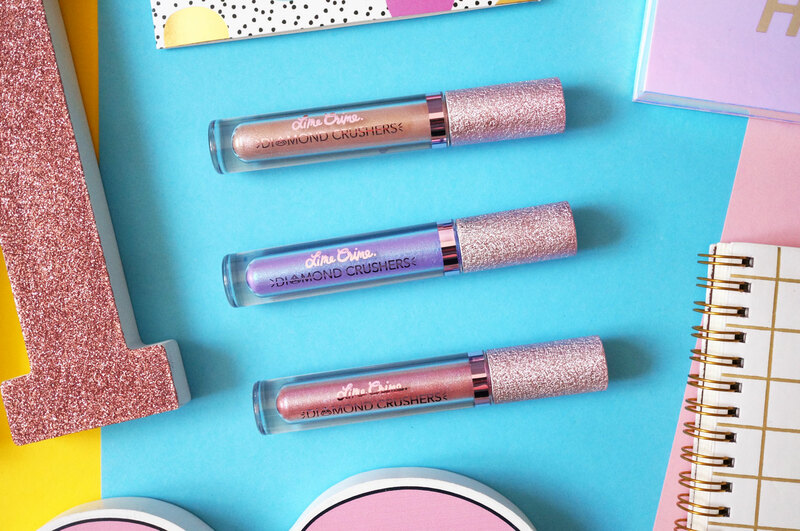 Lime Crime products are available now at ASOS.